The leaves of most moss are very simple and are not lobed nor do they have flaps or pockets. 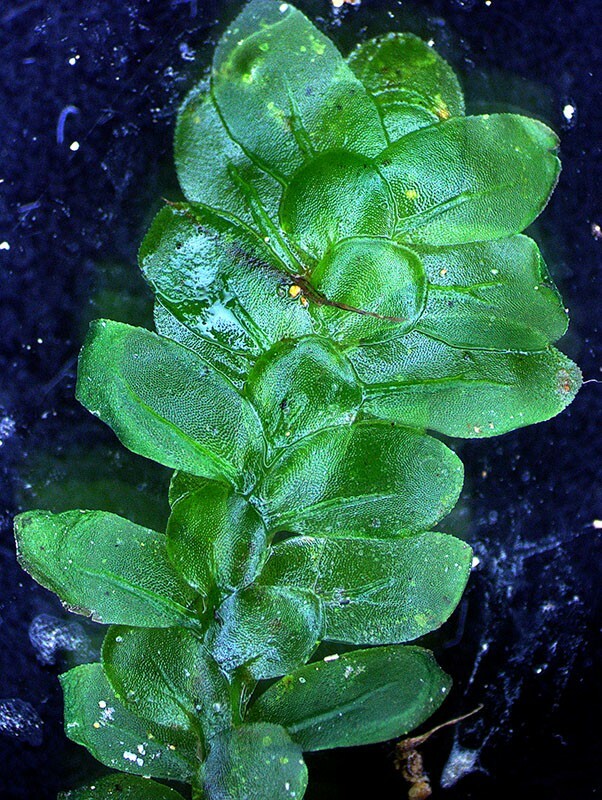 Achrophyllum dentatum - Most moss leaves are transparent, consisting of a single layer of photosynthetic cells. Fissidens sp. 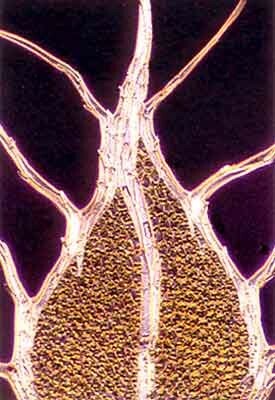 - The central region of the leaf is thicker, forming a nerve (midrib). This is composed of elongate cells, some of which are thickened and function in support. Polytrichum juniperinum - A few mosses have large leaves that are many cells in thickness. In this example the margins are also folded over the upper leaf surface. See Find by Genus page for related taxa: Atrichum, Dawsonia, Dendroligotrichum, Pogonatum. 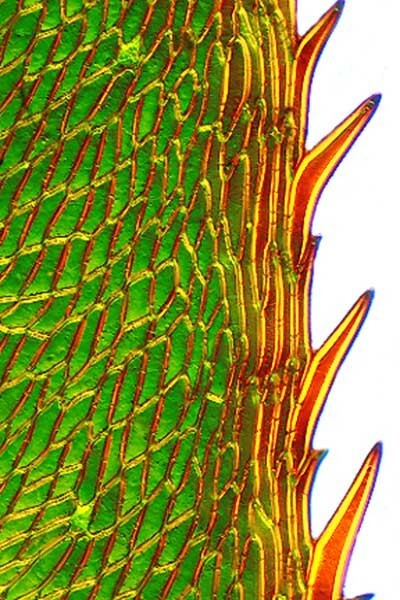 In some mosses, either the nerve or the leaf blade is drawn out to form a filament at the apex of the leaf. This is called a hair-point. Dicranoloma robustum - Leaf tips gradually taper into hair points. 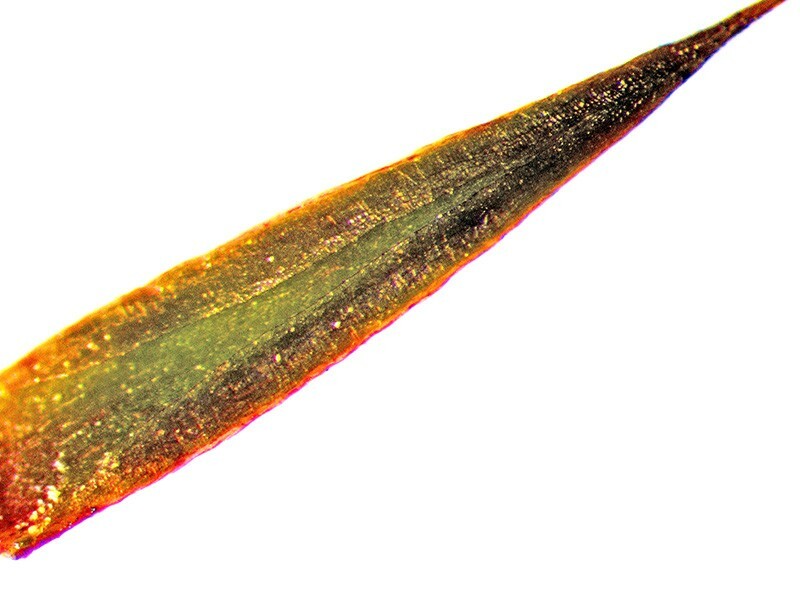 Tortula muralis - Leaf tips abruptly terminate in hair points. The leaf margins of mosses are usually smooth, but there are exceptions. 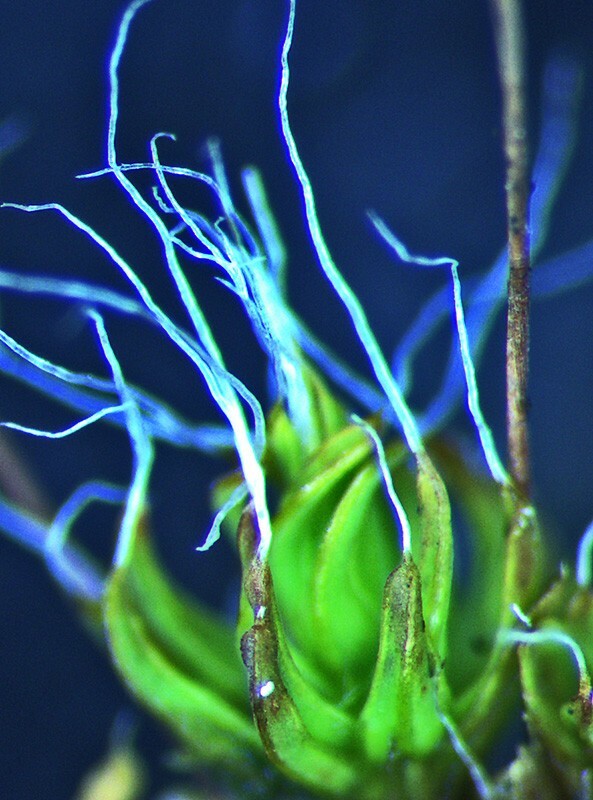 Pseudobryum speciosum - Conspicuous teeth are present on the leaf margins. 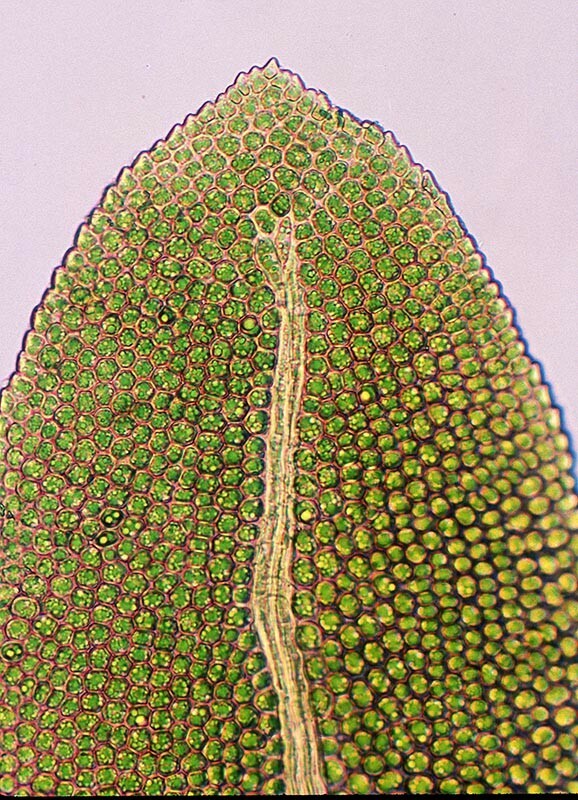 Catharomnion ciliatum - A few mosses have marginal hairs known as cilia on their leaves.